Brand inc revamps the PSL’s Telkom Knockout designs. No stranger to working with South Africa’s sporting giants, Brand inc’s most recent collaboration with South Africa’s Premier Soccer League (PSL) should come as no surprise. 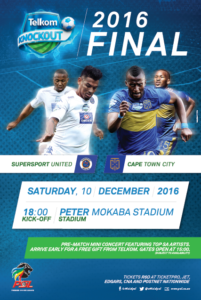 Over the past six months, the agency has partnered with the PSL to create top-end design for their major competitions. Alongside the Absa Premiership Division and the National First Division, the PSL administers three local cup competitions: the Top 8 (MTN 8), League Knockout Cup (Telkom Knockout) and the South African (FA-type) Cup (Nedbank Cup). Founded 20 years ago by soccer legends Dr. Irvin Khoza, Kaizer Motaung and Jomo Sono, the PSL is synonymous with sporting glory. The national sports association wanted a fresh design for their three major competitions, the MTN 8, Telkom Knockout and Nedbank Cup, and approached Brand inc for a new look and feel for various collateral that would also satisfy the numerous sponsors and clubs. “Our designs are more visually appealing and we represented the different sponsors really well,” says Brand inc senior account manager, Munzhedzi Makhuvha. “The client is an absolute pleasure to work with and is very happy with our work. “We have just completed the designs for the Telkom Knockout Cup and then we will focus on the Nedbank Cup in January,” she says. So far the agency has completely revitalised the MTN 8’s accreditation passes, parking tickets, match tickets and aide memoires, as well as Telkom Knockout’s match tickets and print ads. Inside the sporting industry, Brand inc has also been creatively involved with other sporting greats such as the Orlando Pirates Football Club, Nashua Titans, SuperSport United and the Springboks. The agency’s turnkey sponsorship division has helped to commercialise the happiest 5k on the planet, The Color Run, which is South Africa’s biggest mass participation event with twelve races in multiple cities and 80,000 colour runners. 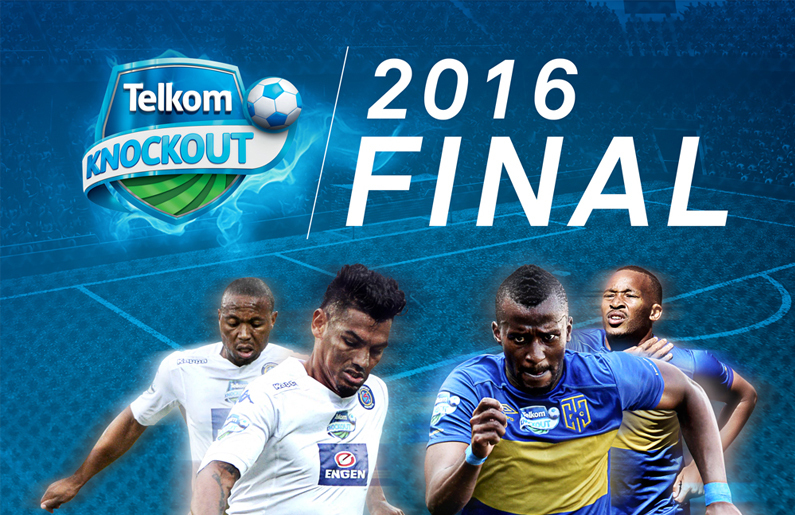 Fresh design for the PSL Telkom Knockout tickets. “We have been very keen for a long time to get our creative hands on some of the PSL work,” says Brand inc MD Chris Heaton.